Please send a high-resolution (min 600px or 500kb) version of your logo in .jpg or .png format to federation@jewishsgpv.org for inclusion in event advertising. Thank you! 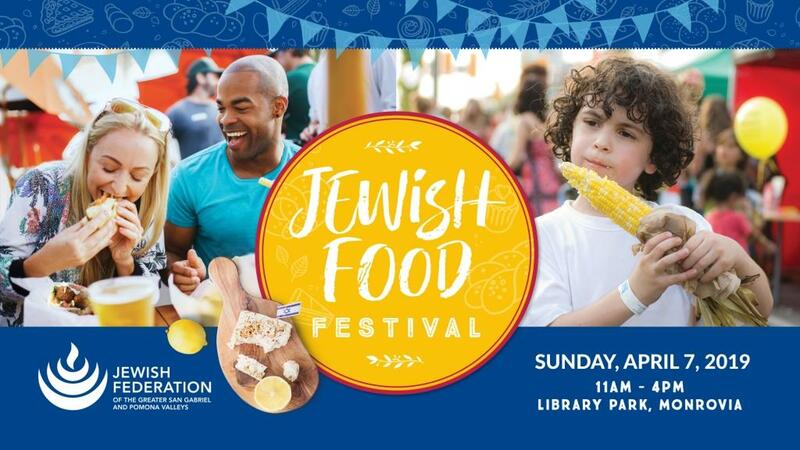 The Jewish Food Festival is a program of the Jewish Federation of the Greater San Gabriel and Pomona Valleys. Federal Tax ID #95-4443373. A confirmation letter acknowledging your generosity will be mailed to the above address for your tax records. Please contact the Jewish Federation of the Greater San Gabriel & Pomona Valley at (626) 445-0810 if you have any questions or comments about the PAYQUIQ service or about payments.